L-applikazzjoni bin-numru PA11067/17 għall-iżvilupp ta’ faċilitá oħra ta’ McDonalds fil-periferija ta’ Ħaż-Żabbar huwa attentat ieħor biex tiġi mnaqqra l-art li nirreferu għaliha bħala ODZ. S’issa nimmaġina li kważi kulħadd jaf li l-ittri ODZ ifissru Outside (O) the Development (D) Zone (Z). Jiġifieri barra miż-żona tal-iżvilupp. Dan ifisser li dik l-art, preferibilment m’għandiex tkun żviluppata. Imma s-sit li ntagħżel biex possibilment ikun żviluppat fuq faċilitá ta’ McDonalds qiegħed f’żona li żviluppat bil-mod fil-passat. Meta l-Pjani Lokali ġew imfassla u ppubblikati tnax-il sena ilu, is-sit fi Triq Salvu Pulis ġewwa Ħaż-Żabbar u l-iżvilupp ta’ madwaru kien definit bħala żona residenzjali rurali (rural settlement): li jfisser li kienet żona residenzjali barra miż-żona tal-iżvilupp imma li m’għandiex titħalla tikber. Lil hinn mill-lingwaġġ tekniku għandna nagħmlu kull sforz biex art barra miż-żona ta’ żvilupp tibqa’ mhux sviluppata u li fejn diġa hemm l-iżvilupp, dan ma jikbirx. Il-pjani lokali huma supplimentati minn biżibilju ta’ regoli u linji gwida li sfortunatament, imma ċertament b’mod intenzjonat u ikkalkulat, joħolqu kuntrasti jew kunflitti li jwasslu għall-konklużjoni loġika li kważi kollox hu b’xi mod ġustifikabbli. Li jkun hemm faċilitá ta’ McDonalds fuq l-art li ntagħżlet f’Ħaż-Żabbar żgur li mhux kompatibbli man-natura residenzjali tal-inħawi. Imma xejn ma nkun sorpriż jekk ikollna ftit akrobazija ta’ livell olimpiku li twassal għall-approvazzjoni tal-applikazzjoni. Il-problema li għandhom numru mhux żgħir ta’ dawk li qed jieħdu d-deċiżjonijiet fl-Awtoritá tal-Ippjanar hi li huma nieqsa minn kull sensibilitá ambjentali jew dwar l-ippjanar (ta’ l-użu ta’ l-art). Din l-insensittivitá hi l-kawża tal-qerda bil-mod tal-kampanja u tal-identitá tal-lokalitajiet residenzjali żgħar bil-konsegwenza tal-ħolqien ta’ uġiegħ soċjali kbir. Ħarsa anke ħafifa lejn il-lista ta’ dawk il-każijiet li għamlu l-aħbarijiet tagħtina idea tajba ta’ dak li wassal għall-qagħda preżenti. Il-problema bażika hi dawk l-irġiel u n-nisa li ntagħżlu biex jieħdu d-deċiżjonijiet. Dawk tal-lum m’humiex wisq differenti minn tal-bieraħ: (b’xi eċċezzjonijiet) ġeneralment ma jiswew għal xejn, avolja xi minn daqqiet uħud jippruvaw ikunu raġjonevoli. Hu rari ħafna li jkun hemm xi deċiżjoni li tkun ser taqbżilhom: pereżempju dik dwar il-pompa tal-petrol u d-dijsil fi Triq is-Salini fil-Magħtab. Ir-regoli dwar kif jittieħdu d-deċiżjonijiet huma mfassla biex jassiguraw li meta jkun hemm min jażżarda jaqbes il-linja, b’mod kważi awtomatiku, jiskatta proċess ta’ awto-difiża tas-sistema: il-vot ma jittieħidtx dak il-ħin iżda fis-seduta ta’ wara. Dakinnhar imbagħad ikun possibli li jissejħu r-riżervi (dawk li bosta drabi ma jattendux għal-laqgħat) biex b’hekk fis-siegħa tal-prova jkun hemm kulħadd. Ikun hemm biżżejjed ħin biex dawk li jdumu jew ibatu biex jifhmu jiftħu ftit moħħhom u jikkonvinċu ruħhom. Imbagħad ikun hemm maġġoranza li tista’ tagħmel xogħolha bil-kumditá. Dan kollu ħoloq ostaklu istituzzjonali doppju kontra l-ħarsien tal-ambjent. Kien speċifikament maħluq għal dan l-iskop minn min kiteb l-Att tal-2016 dwar l-Ippjanar tal-Iżvilupp. B’dan il-mod hemm kontroll istituzzjonali kontra dawk li kapaċi (anke jekk rari jażżardaw) jaħsbu b’moħħhom. Hi l-mewt bil-mod tal-kampanja u l-wirt ambjentali tagħna. Mhux biss f’ Ħaż-Żabbar, iżda madwar il-gżejjer tagħna. Uħud minn dawk li jgorru u kontinwament jimlew il-gurnali, inkluż dawk elettroniċi, bil-fehmiet tagħhom jeħtieġilhom jikkunsidraw is-sehem tagħhom f’dan kollu. Għandhom jikkunsidraw jekk huma stess ikkontribwewx biex kibret il-froġa billi repetutament eleġġew li dawk li kewsu fil-borma. Planning application with reference number PA 11067/17 for the development of a new McDonalds outlet on the outskirts of Żabbar is one of the latest attempts to nibble at our ODZ land. As readers are aware, the letters “ODZ” stand for Outside the Development Zone, meaning that the land in question should ideally not be developed at all. However, the site selected for the possible development of the McDonalds fast food chain outlet lies in an area that has been slowly developed over the years. When the Local Plans were finalised 12 years ago, the site at Salvu Pulis Street in Żabbar and the surrounding development were defined as an ODZ (rural) settlement: meaning that it was an existing residential development outside the development zone that was to be contained and not allowed to spread any further. Beyond the technical jargon, ODZ land should remain outside the development zone. The Local Plans have been supplemented by a myriad of additional policies and guidelines which unfortunately, but clearly intentionally, create so many policy contrasts and conflicts that it would not be amiss to conclude that practically anything can be justified on the basis of existing policy. 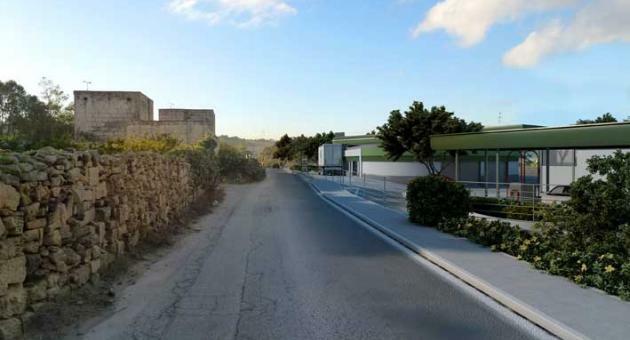 Having a McDonalds outlet in the chosen site at Żabbar is not compatible with the residential nature of the area, but I would not be surprised at all if another planning somersault of Olympic proportions leads to the approval of this application. The problem with most of the decision-takers at the Planning Authority is that they have little, if any, planning or environmental sense. This insensitivity is contributing to the slow and painful death of our countryside as well as that of our small settlements. Just go slowly through the list of cases which have made it to the front pages of our newspapers and you will get a good idea of what has slowly but surely led to the current state of affairs. The basic problem is the men and women selected to be the decision-makers. The present ones are not much different from the previous ones: (although with some exceptions) generally they are useless. Some of them occasionally try to be reasonable. 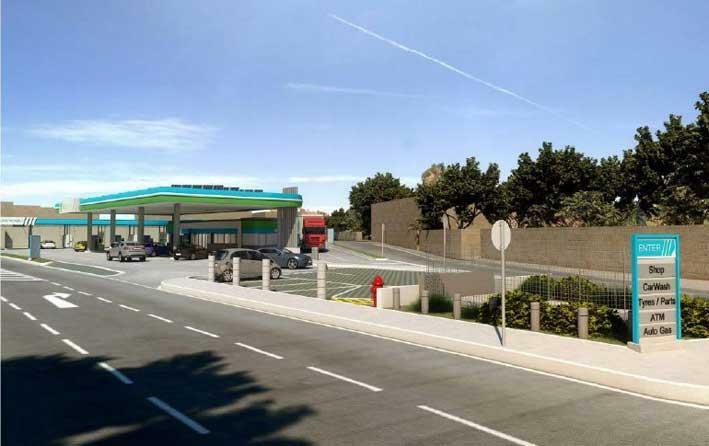 Very rarely, a reasonable decision threatens the current order of things and looks likely to slip out: as the recent case on the Magħtab fuel station. The decision-taking rules are designed to trigger an automatic self-defence mechanism against those who dare overstep their brief: the definite decision is postponed to the next sitting. It is then possible to call in the reserves to vote and the habitual absentees turn up, thereby ensuring a full house at the next Board meeting. There is also sufficient time to convince those who may have “misunderstood” matters and dared speak their mind. It is then possible to ensure that the majority falls in line. This has created an institutional double hurdle against the environment and its protection. It is specifically designed to be so by the author of the 2016 Development Planning Act, clearly intended to introduce an institutional check on those who dare sing from a different hymn sheet from the one available. It is the slow death of our countryside and our environmental heritage – not just at Ħaż-Żabbar, but all over the islands. Some of those who grumble and fill the comments sections of our newspapers with their views need to consider whether they have contributed to all this by repeatedly electing those who have designed this mess. Il-Bord tal-Awtorita tal-Ippjanar ftit tal-ħin ilu approva permess ta’ żvilupp għal pompa tal-petrol fil-Magħtab. Din hi l-istess applikazzjoni li xahar ilu kienu ikkonkludew li kellhom jirrifjutaw. Imma skond ir-regoli ma setgħux jieħdu deċiżjoni finali dakinnhar u aġġornaw għal-lum. Illum l-applikazzjoni ġiet approvata. Attendew għal-laqgħa tal-Bord diversi membri li l-aħħar darba ma kienux hemm kif ukoll kien hemm min bidel l-opinjoni tiegħu. Kien hemm min l-aħħar darba ivvota kontra l-pompa tal-petrol imma illum ivvota favur! Fost dawk li bidlu l-fehma tagħhom kien hemm il-Membru Parlamentari Laburista Clayton Bartolo li nhar is-7 ta’ Diċembru 2017 ivvota kontra l-pompa tal-petrol imma illum bidel fehmtu u ivvota favur. Kien hemm ukoll il-Membru Parlamentari Nazzjonalista Ryan Callus li l-aħħar darba ma kienx preżenti imma illum ġie u vvota favur il-pompa tal-petrol huwa ukoll. Għaliex bidlu l-fehma tagħhom jiena ma nafx. Probabbilment li kkonvinċew ruħhom li “kellhom żball”! Tajjeb li tiftakruha din: ir-rappreżentant tal-Partit Nazzjonalista Ryan Callus kif ukoll ir-rappreżentat tal-Partit Laburista fuq il-Bord tal-Awtorita tal-Ippjanar ivvutaw favur pompa tal-petrol oħra. Il-proposta tal-PN biex deciżjonijiet dwar l-ODZ jibdew jittieħdu mill-Parlament b’maġġorana ta’ żewġ terzi hi politika ta’ min qata’ qalbu li jista’ jindirizza l-kawza tal-problema u minflok jinfex fl-effett. Hija ukoll dikjarazzjoni li din is-sitwazzjoni mistennija li tkun fit-tul jew permanenti. Kif diġa kelli l-opportunità li nikteb, id-diżastru akkumulat fl-ODZ hu riżultat ta’ falliment tal-istituzzjonijiet li la l-bieraħ u l-anqas illum ma jispiraw fiduċja. Ir-rapport li kien tħejja mill-MEPA dwar iż-Żonqor u l-posizzjoni li ħadet il-MEPA dwar per eżempju l-pompa tal-petrol li kienet proposta għall-Magħtab huma tnejn mid-diversi eżempji dwar dan. L-awtoritajiet għandhom l-inkarigu li jipproteġu dak li hu għażiż għalina. F’dan l-inkarigu, b’mod ġenerali fallew. M’għandhomx joqgħodu jistennew liċ-ċittadini individwali jew lill-għaqdiet ambjentali biex jirrealizzaw il-gravità tas-sitwazzjoni. Il-proposta tal-PN hi politika ta’ min qata’ qalbu għax flok ma tindirizza l-problema tfittex illi toħloq mekkaniżmu li jimblokka d-deċiżjonijiet temporanjament. Għax dik hi r-relevanza tal-mekkaniżmu tal-vot ta’ żewġ terzi fil-Parlament li ultimament jikkonverti ruħu għal deċiżjoni b’maġġoranza sempliċi kif stqarr il-Kap tal-Opposizzjoni fl-artiklu tiegħu llum. Issa din it-tip ta’ proposta tista’ tagħmel sens biss jekk tkun għal perjodu qasir ta’ żmien u dan sakemm jitnaddfu l-awtoritajiet u jinħolqu l-mekkaniżmi biex dawn jaħdmu sewwa bla tfixkil jew indħil mill-politika partiġjana. Dan hu ir-rwol tal-Parlament: li jfittex l-aħjar mod kif ikun amministrat il-ġid komuni u li fejn ikun hemm problema dwar dan jidentifika soluzzjonijiet li jindirizzaw l-issues mingħajr tidwir mal-lewża. Sfortunatament il-Parlament Malti, tul is-snin wera li hu bla snien fit-twettiq ta’ waħda mill-iktar funzjonijiet importanti tiegħu, dik li jgħarbel il-ħidma tal-Gvern. Din la saret u l-anqas qegħda ssir. Mhux ma issirx sewwa, imma sempliċiment ma issirx għax numru mhux żgħir ta’ Membri Parlamentari għadhom ma fehmux li din hi responsabbiltà tagħhom. Kieku dan fehmuh, dawk il-Membri Parlamentari li aċċettaw ħatriet fuq bordijiet u awtoritajiet ma kienux jagħmlu dan. Għax meta aċċettaw dawn il-ħatriet huma kkompromettew il-ħidma tagħhom bħala Membri Parlamentari għax poġġew lilhom infushom fis-sitwazzjoni ta’ kunflitt ta’ interess kontinwu u dan minħabba li issa suppost li jridu jissorveljaw il-ħidma tagħhom stess. Din hi is-sitwazzjoni. Bla tidwir mal-lewża l-qagħda tal-ODZ f’Malta u Għawdex hi rifless tal-qagħda ġenerali tal-governanza fil-pajjiż. Froġa oħra ta’ Simon Busuttil. Iktar kmieni illum, wara nofs siegħa jiddiskutu bil-bibien magħluqin, il-membri tal-Bord tal-MEPA qalu le għal pompa tal-petrol fil-Magħtab. Dehrilhom li kellhom jiddiskutu bil-magħluq. Għalkemm kellhom dan id-dritt jiena ma niftakarx li dan qatt sar fis-snin li għaddew. Ma nafx għalfejn għamlu hekk għax ma ingħatat l-ebda raġuni għal dan. Id-diffikulta li tinħoloq f’dawn iċ-ċirkustanzi hi li m’għandix idea x’kienu l-argumenti li ġiebu l-membri tal-Bord. Għax meta d-diskussjoni tkun fil-magħluq il-feedback ikun zero. Mid-9 membri tal-Bord tal-MEPA li kienu preżenti 2 ma ħadux sehem fil-votazzjoni. Billi ma segwejniex id-diskussjoni allura ma nafux għaliex għażlu din it-triq. Id-deċiżjoni tfisser li l-maġġoranza tal-membri tal-Bord taw kaz tal-argumenti kollha li inġiebu, inkluż dawk tar-residenti. Dan juri kemm kien utli l-argument, f’xi mumenti jaħraq ħafna, li żviluppa waqt il-laqgħa pubblika tal-Bord tal-MEPA li saret il-ġimgħa l-oħra. Din id-deċiżjoni tagħti nifs liz-zona rurali tal-Magħtab. Mhux nifs fit-tul għax probabbilment ma ndumux ma jkollna niffaċċjaw l-appell. Il-bieraħ quddiem il-Bord tal-MEPA bdiet tiġi diskussa l-applikazzjoni dwar il-pompa tal-petrol fil-Magħtab. Id-diskussjoni kella issir xi ġimgħat ilu, imma kienet posposta minħabba proċeduri fil-Qorti mir-residenti għax ir-rapport li kien ikkonkluda sa dakinnhar id-Direttorat tal-Ippjanar kien qed jinjora l-fatt li l-Pjan Lokali kellu policy li ż-żona fejn kienet proposta l-pompa tal-petrol kien jirriżervaha bħala Category 2 Rural Settlement. Meta bdiet id-diskussjoni ma saret l-ebda referenza għal din l-istess policy mill-esperti u professuri li ppreżentaw power points elaborati f’isem l-iżviluppatur u f’isem il-MEPA. Kien hemm minnhom min qalilna biss li l-policy ma tapplikax u waqaf hemm. Ħadd ma indenja ruħu jispjega għaliex. Iffaċċjati b’dan jiena flimkien mal-persuni l-oħra li f’isem ir-residenti konna qed nippreżentaw il-każ kontra l-proposta ta’ żvilupp tal-pompa spjegajna għaliex il-policy fil-Pjan Lokali kellha tiġi applikata. Id-Direttorat tal-Ippjanar għandu l-obbligu li jispjega b’mod ċar u eżatt il-posizzjoni dwar kull applikazzjoni li tkun qed tiġi ikkunsidrata. Irrispettivament xi tkun l-opinjoni professjonali tal-uffiċjali tad-Direttorat għandhom l-obbligu li ma joqgħodux iduru mal-lewża jew li jevitaw xi argument. Imma sfortunatament spiss qed jagħmlu dan. Għalhekk għidt li dan kien każ ta’ slealta. Il-MEPA permezz tad-Direttorat tal-Ippjanar għandha l-obbligu li tiskuża ruħha mar-residenti tal-Magħtab. Our waste can be put to good use, which is why we are encouraged to separate and recycle what we would otherwise throw away. Our waste contains plenty of useful resources which can be recovered and re-circulated in our economy and we separate paper, glass, metals and plastic, all of which can be reused. We also recycle electric and electronic equipment such as televisions, radios, refrigerators, PCs and laptops. Instead of being thrown away, disintegrating into a chemical soup in a landfill, this equipment will be dismantled into its component parts, most of which can be reused. Most electronic equipment nowadays makes use of some rare metal and it is in everybody’s interest that such resources are recycled. Next Friday, 30 October, state waste management operator WasteServe, in conjunction with the five local councils of Mdina, Ħal-Għaxaq, Ta’ Xbiex, Bormla and Birkirkara will commence the separate collection of organic waste in Malta. This pilot project will run for a number of weeks during which separated organic waste will be collected twice weekly (on Mondays and Fridays) after which it will be extended to the rest of our localities. The organic fraction of our waste may be as high as 52 per cent of the waste discarded by each household in the black garbage bags. This, apparently, is the most accurate estimate to date resulting from a National Statistics Office study carried out in 2012 entitled Household Waste Composition Survey. A more recent waste characterisation exercise, carried out by WasteServe itself in the localities participating in the pilot project, indicates that the size of the organic waste percentage varies in the different localities. This may be the result of different lifestyles, as a result of which we tend to have different patterns of behaviour that are even evident in our waste. WasteServe has already organised a door-to-door information exercise explaining their role to residents of the five localities, who have also been supplied with white bags in which they are to collect organic waste, as well as suitably aerated bins in which to place these bags. 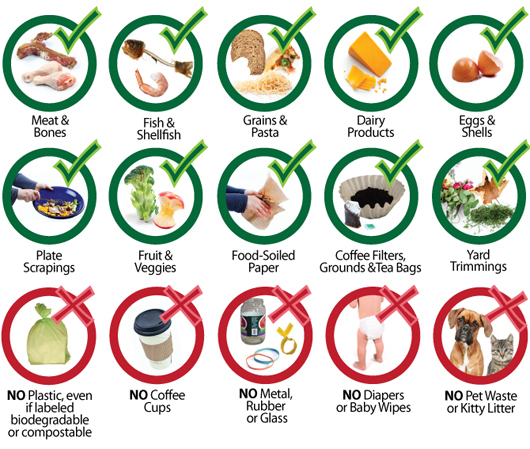 Organic waste, sometimes referred to as “green waste”, is organic material such as food and garden waste. It can also include animal and plant-based material and degradable carbon such as paper and cardboard. The organic waste collected from our doorsteps will be delivered to the Sant Antnin Waste Treatment Plant at Marsascala where it is verified that the white bags contain only organic waste. It is then placed in a waste digester where, as a result of its decomposing in the absence of oxygen, it will produce the gas methane, which is collected and used to produce electricity. In addition, the heat produced will be used to heat the therapeutic swimming pool at the neighbouring Inspire Foundation, a considerable help to the foundation’s clients. The remainder is then used as compost. The organic waste pilot project thus has the potential to substantially reduce the waste that currently ends up at the Magħtab landfill. In addition, when the methane resulting from its decomposition is used to produce electricity, we will also be reducing the emission of a greenhouse gas which is 20 times more potent than carbon dioxide. This will be an additional step in reducing Malta’s contribution to climate change. These are the practical reasons why it is imperative that we recycle. We reduce our negative environmental impact and, as a result, create the conditions for a better quality of life for everyone.